Dr. Wang has been actively treating colon cancer for over a decade. BSGS: Tell us a bit about your professional background and any experience you have with treating colon cancer. Dr. Wang: I am a Medical Oncologist and have been practicing for eight years. I am currently the Director of Medical Oncology at USMD. Including the time spent in medical training, I have been treating colon cancer for the past 11 years. BSGS: How big of a problem is colon cancer screening avoidance from an oncology perspective? Dr. Wang: Avoidance of colorectal cancer screening is very problematic from a public health perspective. 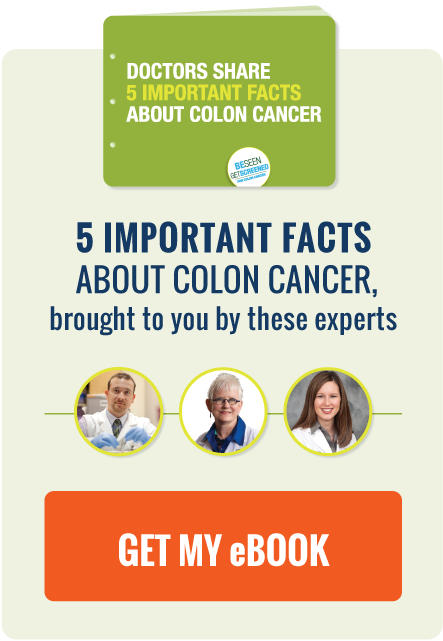 Colorectal cancer is the third most common cancer in both men and women. Approximately 132,000 new cases of colorectal cancer were diagnosed in the United States in 2013. It is the second leading cancer-related death in men and women, combined. Recent findings published in the journal Cancer revealed that colorectal cancer screening has prevented nearly 550,000 cases of colorectal cancer over the past three decades. More importantly, screening adherence during this time period has led to measurable decrease in both the disease incidence and mortality. Despite these findings, adherence rate to colon cancer screening guidelines in the U.S. remain relatively low at approximately 65%. BSGS: USMD’s cancer center is one of the most comprehensive in the nation. Are there any new technologies or novel treatments USMD uses that you think has potential to change the way we think about cancer treatment? Dr. Wang: USMD has been a leader in cancer care for many years. We were the first institution in North Texas to utilize the DaVinci robot for prostate cancer surgery and to date, we remain one of the highest-volume cancer robotic centers in the country. In recent years, our robotics program has expanded to include colorectal surgery. This has led to both decreased post-operative hospital stay and recovery time. We also utilize a wide variety of cancer therapeutics including immunotherapy, targeted therapy and hormonal therapy--all of which are much better tolerated and have less side effects than traditional chemotherapy. Another unique component to our cancer program is the availability of an Integrative Health program where patients have access to proven supportive therapies including meditation, yoga, massage therapy and acupuncture. We truly believe in delivering comprehensive care, not just for the disease, but for the individual as well. BSGS: What recommendations do you have for folks who want to lower their cancer risk? Stay active: research has repeatedly revealed a strong inverse relationship between physical activity and cancer risk, especially for colorectal cancers. In fact, a recent study published in the Journal of the National Cancer Institute revealed that a sedentary lifestyle leads to a 24% higher risk of developing colorectal cancer, 32% higher risk of developing endometrial cancer and 21% higher risk of developing lung cancer. Stop smoking: smoking is associated with numerous cancers including lung, head and neck, pancreas and bladder (not to mention cardiovascular disease). Smoking cessation is one of the best things that a smoker can do to lower their cancer risk. BSGS: What one thing should everyone know about cancer and cancer treatment? Dr. Wang: Numerous new cancer treatment options are currently available including immunologic, biologic and targeted therapy. Many of these new therapies are better tolerated and more effective than traditional chemotherapy agents. We have learned that "smarter" treatment, as opposed to "more" treatment, are associated improved cancer-related outcome. BSGS: Do you have anything else to share with us today? Dr. Wang: Cancer prevention and early detection are vital to decreasing one's cancer risk and survival. I urge everyone to stay physically active and to follow current screening guidelines for colon, breast, prostate and endometrial cancer. And if you are diagnosed with cancer, work closely with your cancer care team to devise the best treatment for yourself.